"I Don't Like You", a poem about Henry and Deena of the Longmire TV series. Achieved fame in the film La Bamba. Whose woman was much like Delilah. She was blessed with raven hair. And a beauty that inspired this bard. But I wouldn't call her 'faire'. Cause her beauty was kind of hard. Was that caused by the makeup? Or maybe it was Madchen's acting. Or it might just be the age of Ms. Amick. Her actions called for a breakup. Yeah, Henry should have sent her packing. That decision should have been automatic. At least, on the part of Standing Bear. Plus feedback from Longmire fans like me. Ratings. So writers continued the affair. Poor Hank wondered where sweet Deena could be. That's a long way from home. But Bismarck is where she said she'd be staying. Confirmed his trust she had been betraying. As you were enjoying your independence. Go on, pretend they are amusing. It might help to feign some repentance. 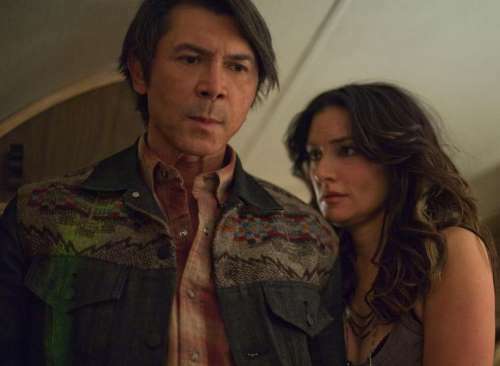 Keywords: Poems about the Walt Longmire TV series, Native American love poems, Odes about actor Lou Diamond Phillips, Cheyenne verses, Poetry inspired by television.